Game recaps plus updates on Erik Karlsson, Mikko Rantanen, Tuukka Rask, and more in today’s NHL morning coffee headlines. NHL.COM: The Anaheim Ducks picked up their second straight win following a 12-game losing skid by edging the New Jersey Devils 3-2. Goaltender John Gibson made 29 saves and rookie Troy Terry collected his first two NHL points, including a goal. Daniel Sprong also had a goal and an assist. Earlier in the day, Devils winger Kyle Palmieri was named as Taylor Hall’s replacement in the upcoming NHL All-Star Game while Miles Wood (lower body) was placed on injured reserve. A six-goal second period powered the Colorado Avalanche to a 7-1 drubbing of the Los Angeles Kings. Avs winger Mikko Rantanen scored twice but also left the game as a precautionary measure due to a lower-body injury. Tyson Barrie collected three assists. St. Louis Blues rookie goalie Jordan Binnington made 28 saves to pick up his fourth win in five stars in a 3-2 victory over the Ottawa Senators. The Blues also activated forward Alex Steen off injured reserve but winger David Perron is listed as day-to-day with an upper-body injury. The Dallas Stars snapped a four-game losing skid by doubling up the Winnipeg Jets 4-2. Ben Bishop made 27 stops while blueliners John Klingberg and Esa Lindell each collected two assists. New York Rangers netminder Henrik Lundqvist backstopped his club to a 3-2 victory over the Boston Bruins. 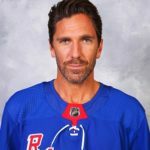 It was his 446th career victory and moved Lundqvist into sixth on the all-time wins list. Bruins goaltender Tuukka Rask suffered a concussion following a first-period collision with Rangers forward Filip Chytil. Mika Zibanejad scored twice for the Blueshirts. Two third-period goals by Nolan Patrick helped the Philadelphia Flyers down the Montreal Canadiens 5-2. Flyers rookie goalie Carter Hart turned aside 33 shots. Tampa Bay Lightning captain Steven Stamkos scored twice and set up another to lead his club to a 6-3 win over the San Jose Sharks. Evander Kane scored twice for the Sharks while teammate Erik Karlsson was a late scratch due to a nagging lower-body injury. Florida Panthers defenseman Aaron Eklad scored a goal and added an assist in a 4-2 victory over the Nashville Predators. It was Ekblad’s 62nd career goal, setting a franchise record for defensemen. Zach Parise’s 20th goal of the season was also the game-winner as the Minnesota Wild nipped the Columbus Blue Jackets 2-1. Vegas Golden Knights winger Jonathan Marchessault tallied a hat trick in a 7-3 thumping of the Pittsburgh Penguins. It was the ninth win in 11 games for the Golden Knights, who also welcomed back defenseman Colin Miller off injured reserve. The Calgary Flames extended their points streak to eight games (7-0-1) by defeating the Edmonton Oilers 5-2. Flames captain Mark Giordano had a goal and two assists. NBC SPORTS: The concussion lawsuit settlement deadline for NHL players has been extended. It’s not immediately clear what the new deadline is for the 318 players who had sued the league claiming it failed to protect them or warn them about the dangers of head injuries. Staying up late to watch the Pens lose always is a bit painful. Vegas is a good balanced team and it showed. A pens win would have put them tied for the Div lead but the loss leaves them remaining in last Wild Card spot. I have to lay most of the blame for the loss with Sully. He continues to play JJ and even after showing so poorly through the game ; he didn’t sit him. I believe Sully has only sat JJ one shift all year. The bench has two ends to shorten from Sully! JJ on for 5 of the 6 non-empty net goals; directly responsible for 2 and indirectly responsible for the other 3. Minus 4 on the night. He had another absolute brutal give away that almost cost another goal. How is Sully so absolutely blind to this??? This bitter Pens fan has now become that much more sour, surly , and anxious after last night’s game. Nice road win by the Flyers! Glad the Habs lost since my bruins lost also! Lol. Um, yeah. Me too I guess. Aren’t you a leafs fan shore? No bud. Hate the Leafs Habs and Rangers equally. Thankfully we only have to worry about the Leafs this year as the Rags and Habs are pretenders right now. Comprehensive reading isn’t your strongest attribute eh BBB? My Bruins will make the playoffs quite easily along with TB and the Leafs. Your Habs won’t even get a wild card spot because of the teams in the metro and that horrid D corps that MB gave Claude to work with. Might as well start looking at draft prospects BBB. It’s the only thing Habs fans like YOU have to look forward to. Yes, I see the standings. Funny, you sound more optimistic about the Habs than you do about my Bruins. No need to be ashamed of being a Habs fan as there are hundreds of thousands of good ones around the world. Very strange schtick you have going on there. Is that’s the best you can do little bear? I’m not surprised at all actually. Feel kinda sad for you though. I wonder what bigbear would say about all this…..?? ?